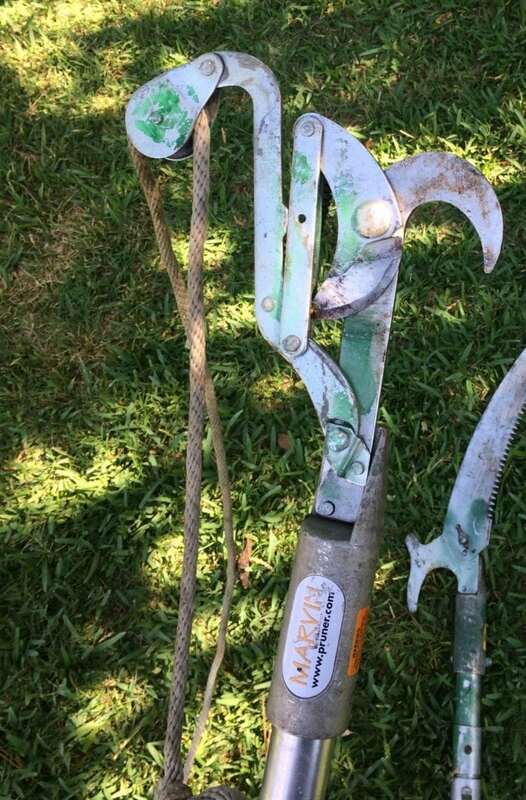 Choosing the right tree pruning tools for the job promotes efficiency and minimizes risk. Several factors contribute to tool choice including accessibility, branch size, position of the branch, and location of the cut. 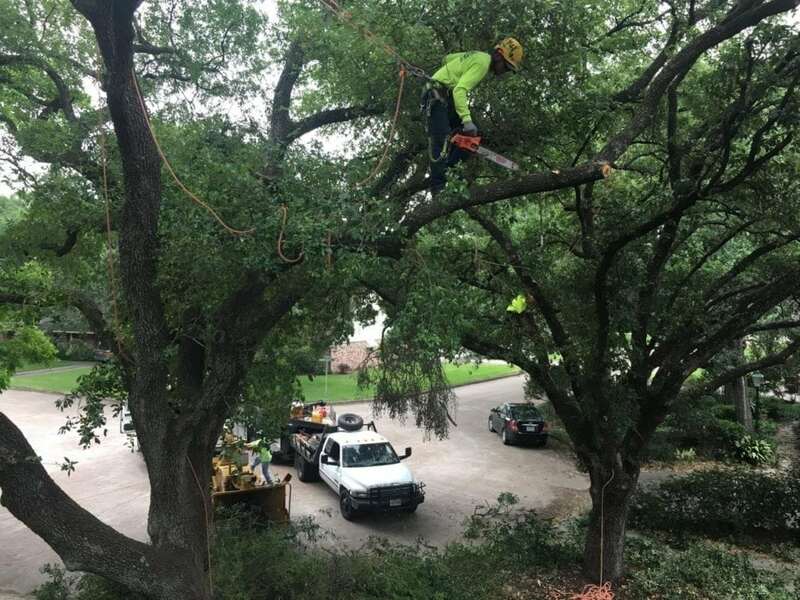 Personal protective equipment, such as safety glasses, ear protection, gloves, hard hats, chain saw protective chaps, and appropriate footwear, are all recommended while performing tree care operations. Wearing long-sleeved shirts and long pants can protect from scrapes, sun, and poisonous plants. Loose-fitting clothing and jewelry should not be worn because it may catch in equipment and become a hazard. 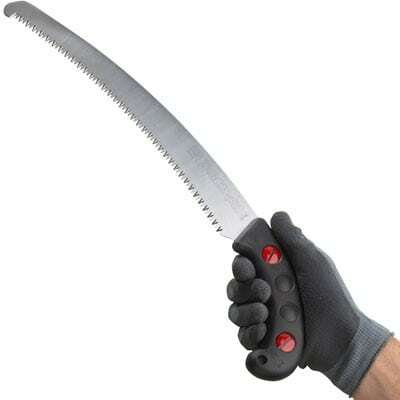 Pruning hand saws are designed to cut through green wood one-half inch or larger in diameter. 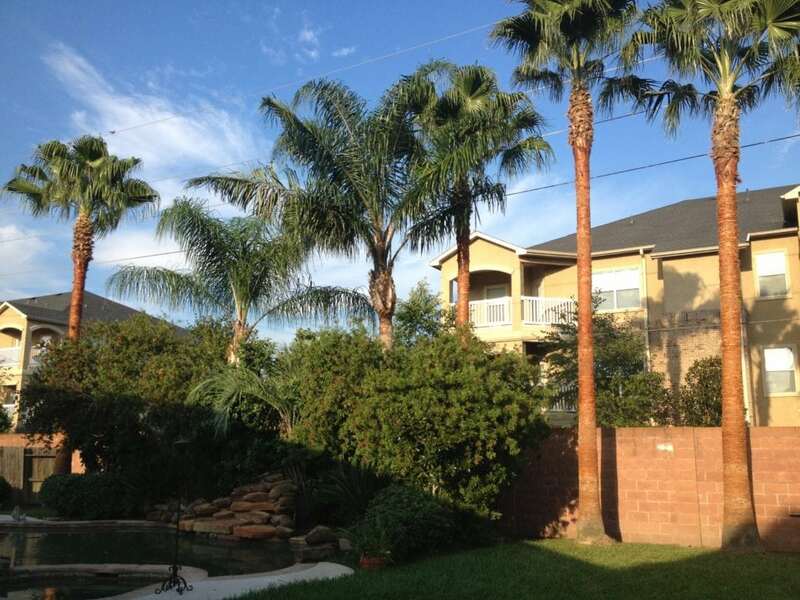 There are many different designs available to suit individual needs and comfort. 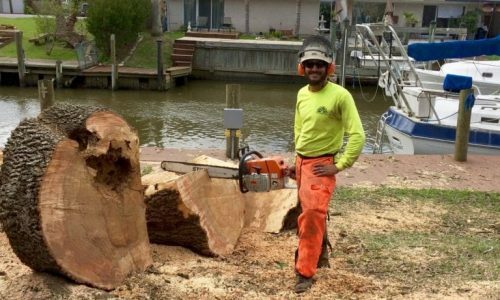 A pole saw's blade is similar to a hand saw. 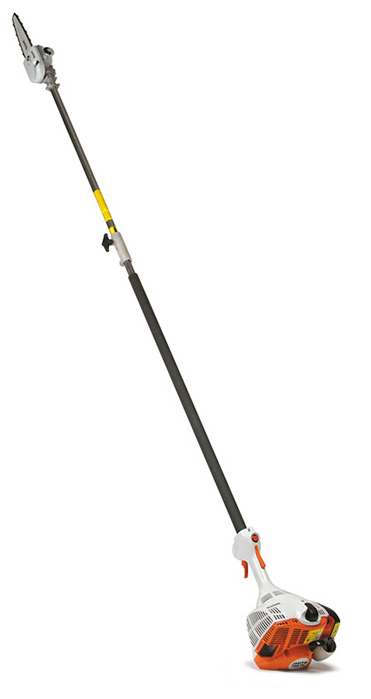 However, it is made to attach to poles enabling the user to reach farther and/or higher on a branch to the location of an intended cut. Loppers are available in both bypass and straight-anvil types. When mounted on a pole, they are operated from the ground using a rope. 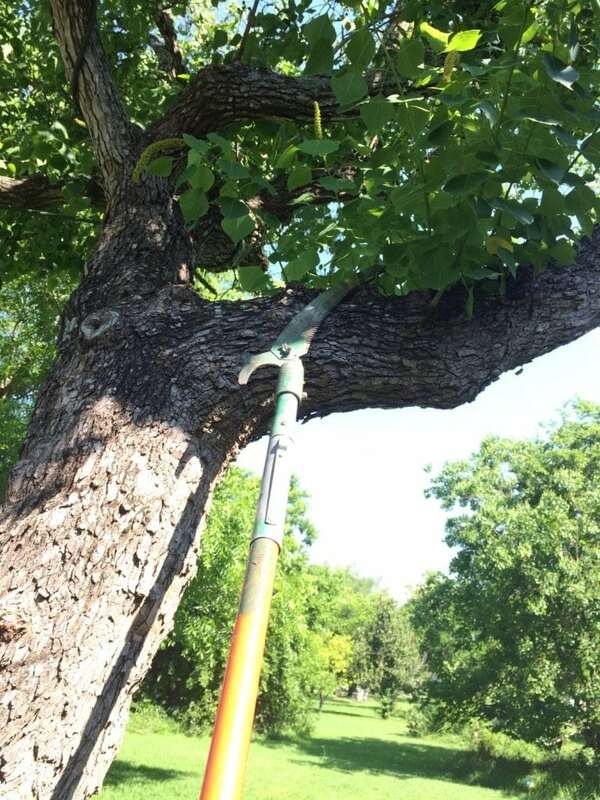 Power pole saws can be used to quickly prune larger diameter branches. 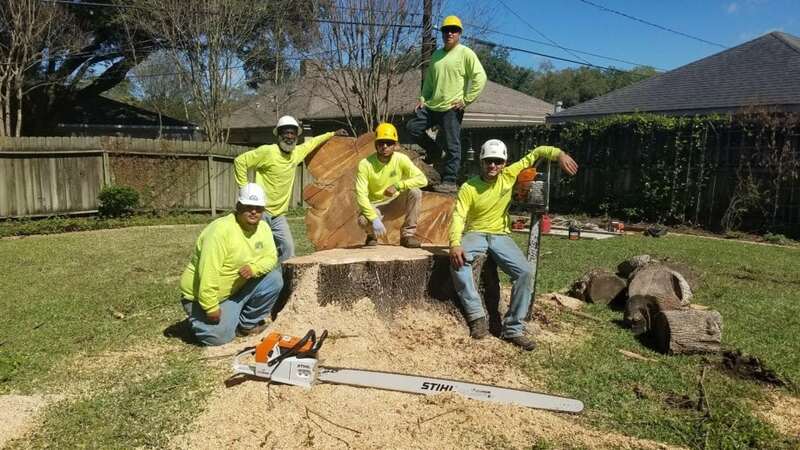 The U.S. Occupational Safety and Health Administration regulations require professional tree care workers to attend safety classes for chain saw operation. 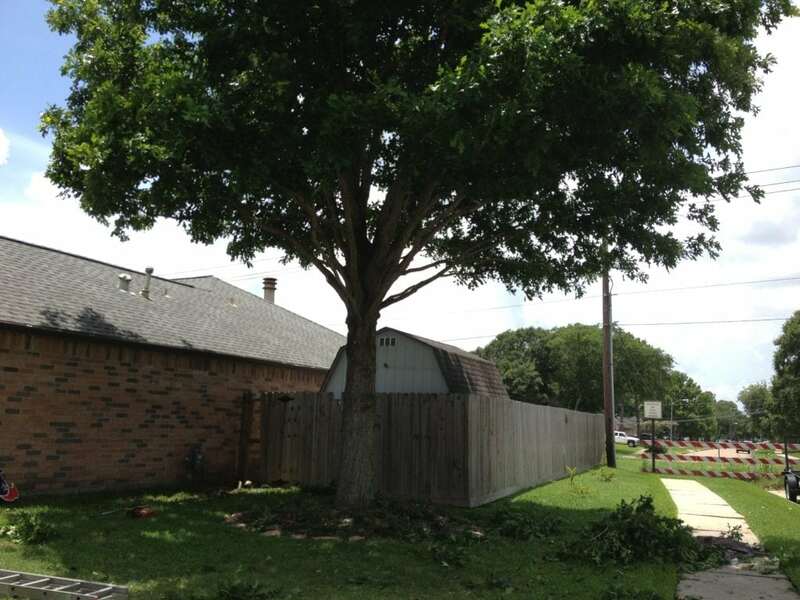 If pruning requires use of a chainsaw, only trained arborists should complete the task. 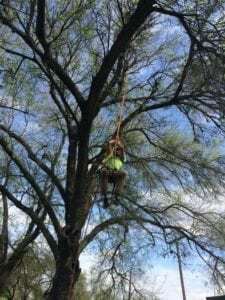 here are many ways to climb a tree without injuring it. A throwline can be used to set a climbing rope in a tree. 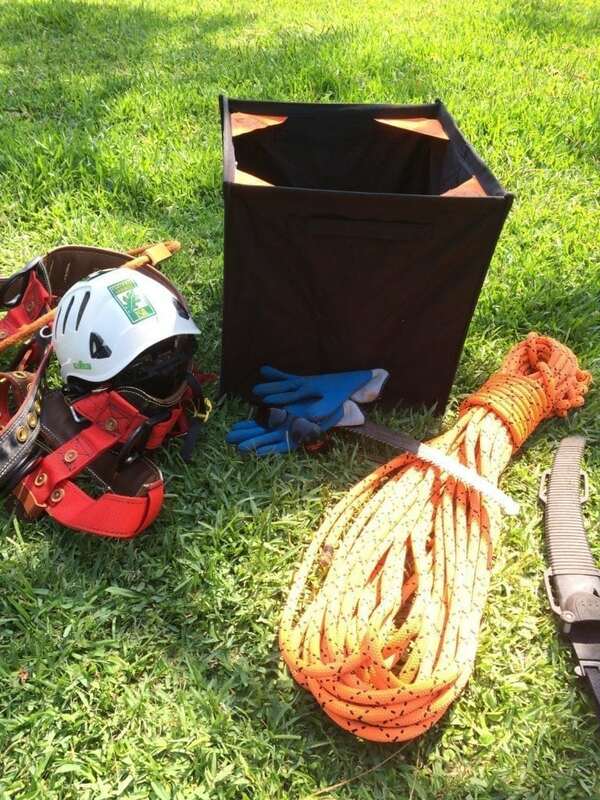 An arborist can then gain access into the canopy on the climbing line. Arial lifts are another useful option. They come in various designs and sizes but all enable one or more crew members to work from an elevated platform. However, the use of spikes to climb tree trunks do cause injury. The spikes create wounds that act as entry points for pest and disease. Tool maintenance is necessary for making a good, clean cut. Tools should be sharp in order to make smooth cuts. 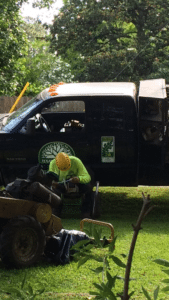 Some situations require tools to be sterilized between trees, or even between cuts. The objective of sterilization is to minimize the chance of spreading diseases. When sterilization is necessary, it is important to use a substance that will not damage plant tissue. Under normal circumstances hot soapy water is sufficient to clean build up off of pruning tools.